After next Thursday, the panic is officially on. The Christmas season panic of getting EVERYTHING done: the Christmas cards, the neighbor gifts, the gifts for everyone else, the Christmas cards, the holiday parties, the decorating, the baking…and did I mention THE CHRISTMAS CARDS? I actually love doing Christmas cards. I didn’t do any last year because of the expense and it was sad. So this year I am going to do them and I’m gonna use Shutterfly. You must have heard of Shutterfly right? They are a great resource for your custom cards, books, calendars, etc, etc etc. My sister is constantly making books for her kids through Shutterfly. But with Christmas upon us shortly, you can use Shutterfly to make your Christmas cards. I’m getting ready to have our family pictures taken this weekend. We actually scheduled to do it last weekend but had to cancel due to some VERY cranky kids (it’s my BFF who takes the pics so it was not a big deal.) And I realized right after we cancelled that I was NOT ready for family pictures. Being a control freak, I really want my family pictures to look cute and color coordinated. I’m not a fan of the super matchy pictures but I do like it when there is a color scheme (and one that matches my home decor.) 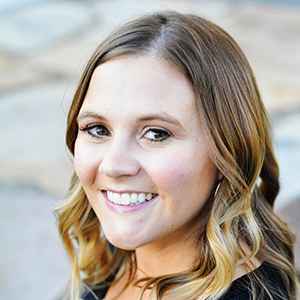 I consulted this excellent post written by my friend Kristen Duke who is an amazing photographer about What to Wear in Family Portraits. I also found lots of helpful advice from the Shutterfly site Shutterfly Family Photos. You can find helpful tips for making your photos perfect for holiday cards. And once I get the perfect family photo (if that even exists) Shutterfly makes it really easy to put together a beautiful and high quality card. There are tons of designs to choose from that fit with your personality–everything from classic to modern bright colors. I think it’s going to take hours for me to decide which design. I like to pick something that kind of goes with the photo but yet is simple and really accentuates the picture. I might even just have the photo be the entire face of the card. 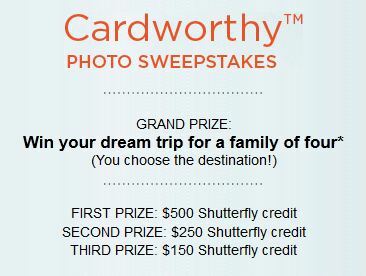 Right now Shutterfly is having a Card Worthy Photo Contest on their Facebook page running from Nov 12-Dec 9th. All you have to do is visit their Facebook page, upload your family photo into one of the 2012 holiday cards and you can win a chance at a Dream Vacation for 4 (and YOU choose the destination!) There are four categories: Travel, Funny, Pets, and Family Holiday so lots of chances to win. The 1st place winner wins a $500 Shutterfly credit, 2nd place wins $250 Shutterfly credit, and 3rd place gets $150 Shutterfly credit. So do you want to use Shutterfly for your Christmas cards? You’d better enter to win this $100 Shutterfly credit right this instant! Disclaimer: I am part of the Mom It Forward blogger network. Mom It Forward and Shutterfly partnered in support of this campaign. Shutterfly compensated me for taking part in this campaign, however all opinions are 100% mine. shutterfly cards of course! this would be an awesome win 🙂 thanks for the giveaway! We always do photos for our cards at Christmas! We usually do candid photos, which I think are fun. We always include a photo and some sort of drawing from the kids but I don’t have an exact plan yet for this year. I’d love to make our family yearbook for this past year. We are having family pictures done the year. The first time in over 3 years and I have an almost 2 year old :/ So we are using one of those I’m sure. I usually do pictures and look for some really cute designs to fit all the pics I want. Thanks for the tips on what to wear for a family photo! Personally I don’t send out cards, but for my business this year I am sending out cards from my business and I made my mom a calendar from Shutterfly for next year for her Christmas present. I will probably send out a photocard to friends and family! I enjoy sending them and love getting them! this is a great giveaway – I am doign so many Christmas gifts from Shutterfly this year!! I plan on taking pictures of each of my boys holiday a sign with their names or a certain word and putting them on a card. got the best shot this summer at the beach in the sunset… waiting for a discount to come up (or a gift certificate!!!) to make cards!! Still up in the air on the cards. Trying to find something new to do. Already made appt. with photographer. I will be shopping for coordinating outfits this week. 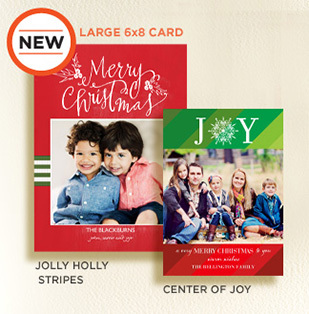 I am excited to design and order Christmas Photo Cards. Im a grandmother who always needs picture items. Perhaps using pictures through the year and putting them on a smilebox.com card. Not sure yet. I make cards, but would love to include a family photo insert. It will just be my son on the card this year. I’m going for black and white and it will be taken outside! I love all of Shutterflys unique Christmas card designs! We always do photo cards using Shutterfly! We love shutterfly, they have great customer service, I’ve never been disappointed! I always make a family photo book every year too using shutterfly, love them!! Although I just finished my 2011 book, I better get started on 2012 now! Thanks for hosting this giveaway! Love shutterfly, I’ve been using them for years. we send photo cards every year now. We just had some family pictures taken, and I LOVE how the pictures turned out! I just have to narrow to down to which pictures to use! This year I will go for b&W pictures. I love to make special Hoilday Cards for Friends and Family…and love to start with printed cards 🙂 Thanks! I normally send out cards, Last year I bought them from Shutterfly and was very happy! I love to send holiday pic cards. Thanks for chance to win. We had pictures taken and are now planning on holiday photo cards. Would love to pick some from Shutterfly. Shutterfly cards with family photos taken by my best friend! We will send out 125 photo Christmas cards. I already chose a Shutterfly card just need to take family photos. I plan on ordering photo xmas cards to send out. We will be taking kid pics on Friday and hopefully creating a Christmas card when we come home! We need to take a new family photo for holiday cards…or maybe just one of the kiddos! I don’t know what im doing about cards yet! panic mode! We just saw our family photos last night and we would LOVE to use Shutterfly for our holiday cards again this year! Thank you so much for the opportunity to win! I love Christmas photo cards!!!!! I’m hoping to take a cute picture of my boys tomorrow for our holiday cards! Last year we did a collage cards and I really liked the way that one turned out. I was thinking about designing them myself this year. I love Shutterfly! Great giveaway! Trying to come up with a new idea for Christmas cards this year because that’s one of my favorite things during the holidays! I am so excited to make cards this year. I hadn’t thought to use shutterfly even though I use them all the time for books. Thanks for pointing me in that direction! i’d like to get a family pic done and send ecards. although, if i had some money to blow, i’d definitley go the shutterfly route!